For the first time in more than a decade, Texas’ uninsured rate dipped below 20 percent, analysts said Wednesday following the release of U.S. Census data. More than 1 million Texans signed up for health insurance on the exchange last year, according to federal tallies at the time, but it is unclear how many of those people were previously uninsured. Other polls had projected a similar decline in Texas following the federal health law, which was intended to expand coverage across the country. A Gallup poll last month put Texas’ uninsured rate at around 21 percent, and a survey from Rice University’s Baker Institute for Public Policy estimated the rate at around 17 percent post-Affordable Care Act. But the Census sampling, known as the American Community Survey, lends new credibility to earlier claims that Texas continues to lead the nation in the raw number — and rate — of people without health insurance. Advocates for the uninsured have pushed Texas to expand Medicaid — an optional tenet of the federal health law opposed by the state’s Republican leadership — which could grant insurance coverage to up to 1 million adults living in poverty here. Gov. Greg Abbott and others have criticized Medicaid, the federal-state insurer for the poor and disabled, as an inefficient program and questioned why the government should expand its coverage to able-bodied adults. In Arkansas and New Mexico, neighboring states that did expand Medicaid, the uninsured rate fell by slightly more than 4 percent. The federal survey found 7 percent of Texas’ low-income children, defined as living with incomes below twice the federal poverty level, remain uninsured. 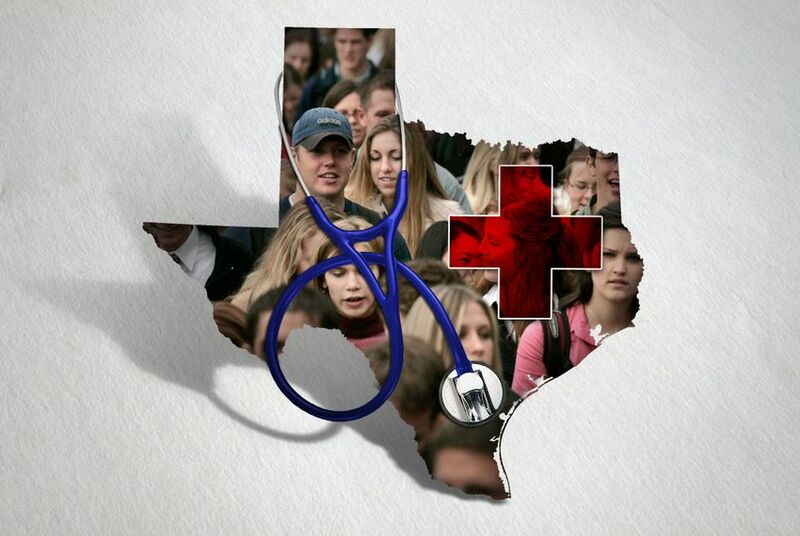 Of all children under age 18 in Texas, 11 percent are uninsured. Among the elderly, two percent of Texans over the age of 65 are uninsured. The Census is expected to publish more granular data about Texas’ uninsured population on Thursday.